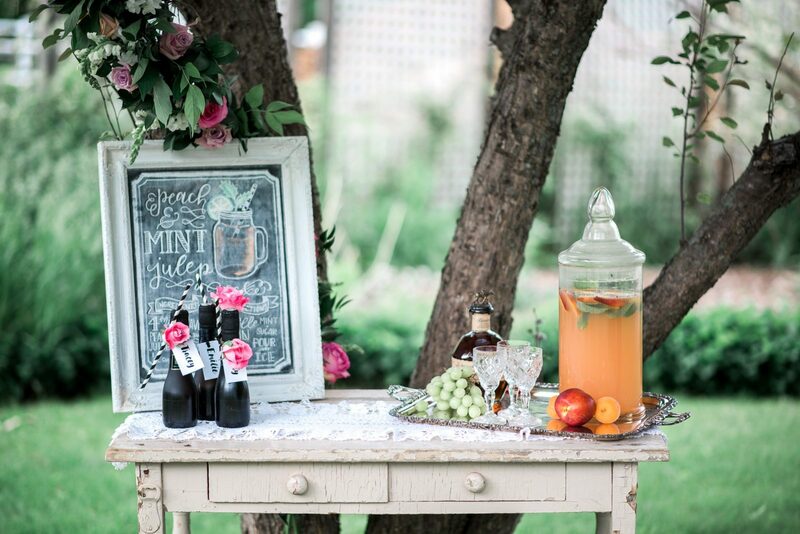 Ever wondered how to plan a styled shoot? Styled shoots are such a fun thing to do in the off season. They really help to keep your creative juices flowing, they allow you test out the latest trends and they are also a great opportunity to work with new vendors. While they are definitely a blast to put together, they are also a ton of work for the person planning it. 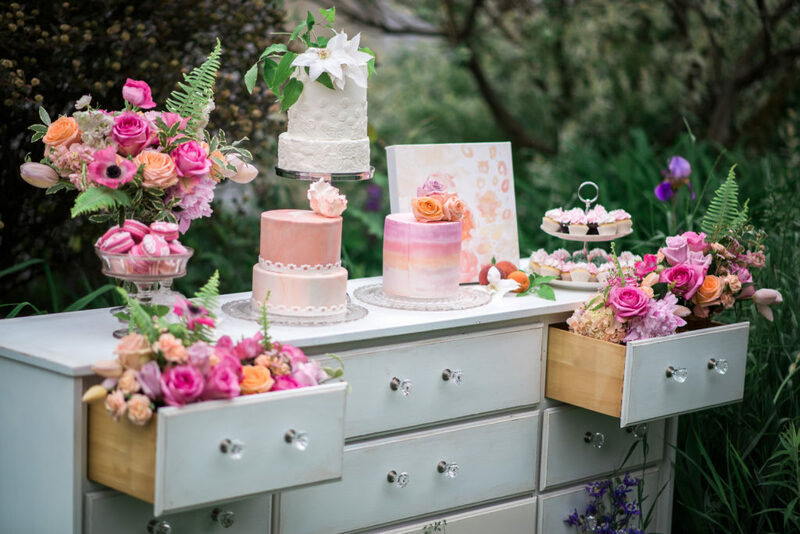 So, let’s get into it – how to plan a styled shoot. First you need to have a solid idea of what your vision is and how you plan to pull it together. You need to be able to communicate your vision clearly so that your vendors know exactly what they are getting themselves into and how to incorporate your vision into their contribution for the shoot. Once you’ve really defined your vision you need to decide what your goal is for the shoot. Whether it is networking with vendors, building your portfolio and attempting to get published, these details will be important to share when reaching out to your vendors. From there, figure out exactly what you want to showcase in your shoot. If you are a photographer planning a shoot, your image priorities may be a lot different than if you are a makeup artist or wedding planner. I like to come up with staged scenes that tell a comprehensive wedding day story and then figure out what elements would need to be in each of those scenes. If you made it this far then you’re ready to start reaching out to your vendors! 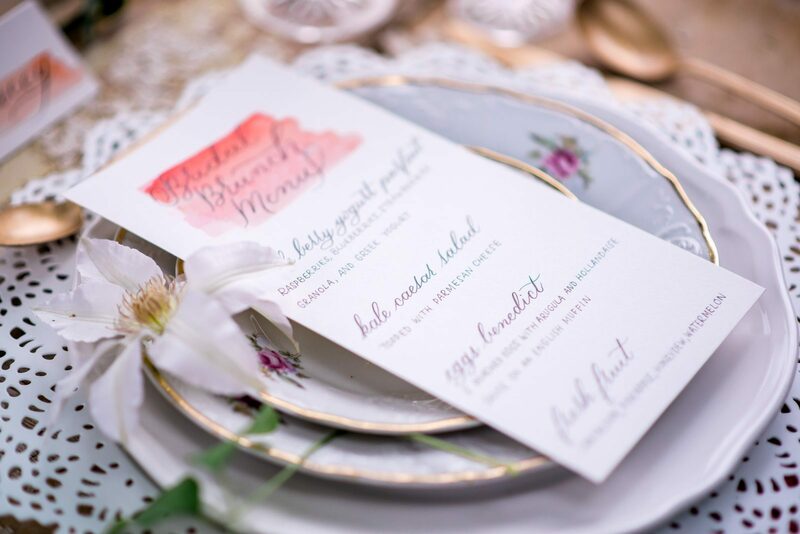 Granted, you could absolutely organize a styled shoot without any of the above details in place but it is likely to look a bit thrown together and your vendors’ styles may not compliment each other or your overall shoot. 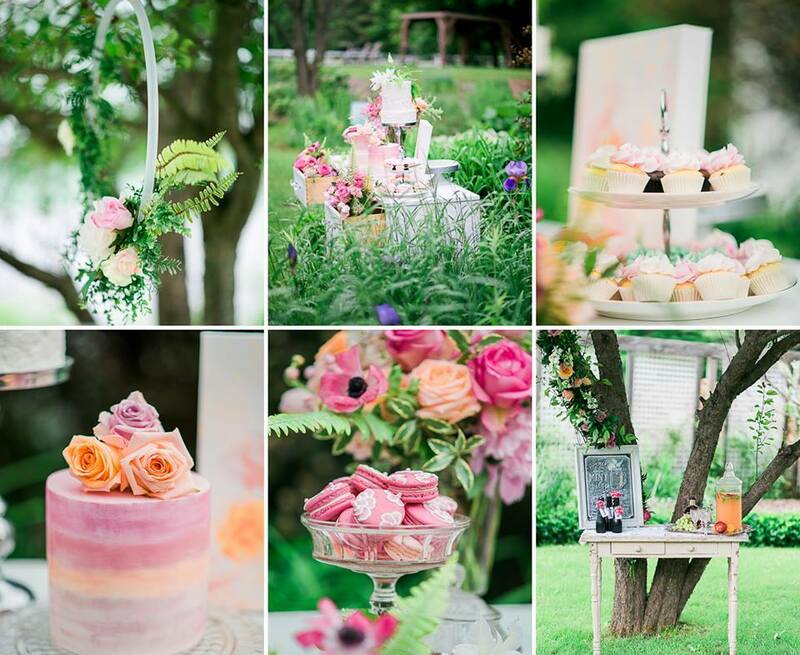 For example, the Bridal Brunch shoot was Southern inspired, with bold, vibrant colours and fun, happy feelings. With those details in mind, it makes sense that your photographer specialized in more of a bright, airy type of editing style, or your makeup artist is most strong-suited in soft, natural looking makeup. The point, when it comes to selecting your vendors is; be strategic. Don’t just bring on the first people to say yes to you. Aim big and ask the person that will really fit your vision and style because then you will have better flow throughout your shoot and it will actually benefit those vendors to be involved, rather than giving you their services and not wanting to use the photos after because it doesn’t reflect their branding. Finally, have fun. I love inviting all of my vendors to come on set with me during the shoot to see the product of their hard work. As an added bonus, they may be able to see things that you aren’t seeing and can offer their perspective to help really make the most out of all aspects of the shoot. 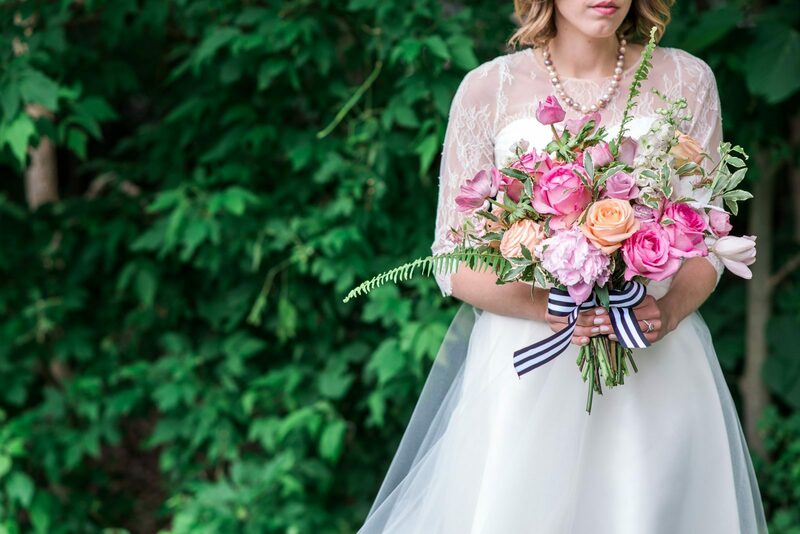 What’s the purpose of a styled shoot? There can be many goals to a styled shoot whether it is meeting industry folk, getting images for your website and social media, building your portfolio for your clients, generating higher SEO and web traffic through cross promotion, or even getting featured in well known publications. Sometimes my shoots have more goals than others but my primary focus is always three-fold: showcase new trends to help give inspirational ideas to couples; test out new vendors to determine if I am comfortable referring my clients to them when applicable and; cross-marketing my own and other small businesses. Should I work my branding into my styled shoot? It really depends on what you want to use the photos for. If they are to help generate content on your website and social media then they really should compliment your branding, otherwise you are communicating confusing messages to prospective clients. If your goal is to get featured on a specific publication, then having everything match closely with your branding may not be as high a priority. Is it essential to have a fully laid out plan and collaboration contracts before reaching out to vendors? For me, a fully laid out plan is crucial. I always custom design an inspiration board to convey my vision and the shoot theme and ensure to explain to the vendor why I am reaching out to them specifically. I don’t personally use official contracts with me vendors, but I clearly communicate the guidelines and expectations for both sides. When it comes to apparel, some vendors will require a liability contract in case any damage comes to their merchandise, which is completely valid. What order do I reach out to vendors to collaborate with? As a wedding planner, I personally like to reach out to a photographer first, because without them the shoot is pointless. From there I would confirm a venue and then start reaching out to all of the other vendors. Do you always collaborate with the same people? I try to use new vendors as much as possible for shoots as it gives me an opportunity to work with new people. I have my go-to people who I know I can always rely and will execute my vision perfectly, but a prominent goal with these shoots is to grow my referral list for my clients and I prefer to work with a vendor before I recommend them. How many vendors should be involved? At the very least you need a model and a photographer; everything else is about elevating your images and taking them to the next level. I personally like to tell a whole story with my shoots so I involve quite a few vendors to create really detailed scenes. How important is it for all vendors to get along? This goes back to my one of my styled shoot goals being a sort of test run with vendors before referring my clients to them. I’m not just looking for the quality of work or how well they are able to take my vision and create something fitting for it, I’m looking to see how they interact with others and what kind of personality they have. A photographer may produce beautiful images but if they are super rude or flaky and don’t get along well with others then they likely aren’t going to be able to get natural, relaxed smiles and poses out of my clients. Do the vendors all have to be credited? Yes! Always yes! This is likely the biggest reason your vendors agreed to get involved in the first place. 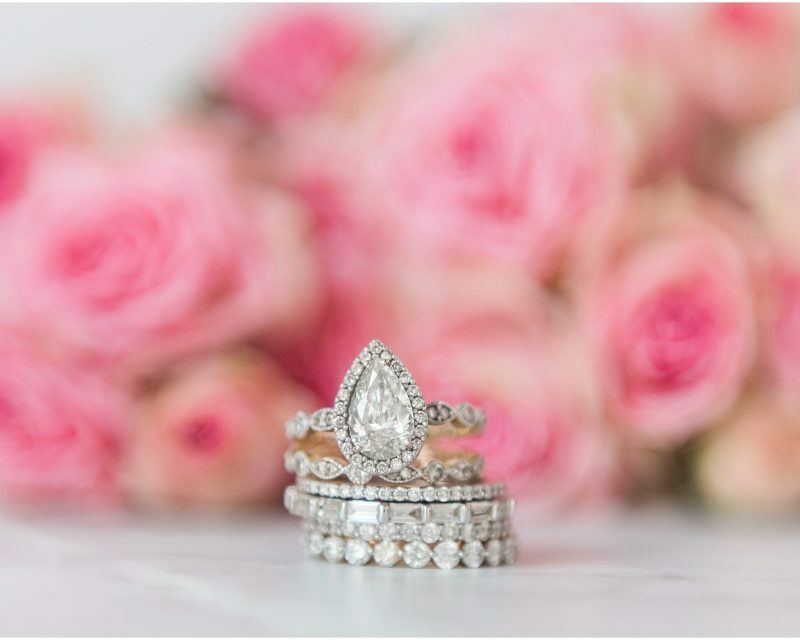 You should always list all of your vendors, stating what they did (photography, makeup, etc.) followed by their business name and a web link or social media tag where you can. How long in advance should I start planning my shoot? As a seasoned planner, I can put together a complete, detailed shoot in two-three weeks. That being said, the less time you give yourself for planning, the lower the chance that the vendors you really want involved are available and the higher the chance that you may over look some details. How many hours should I expect to put in? It depends on how detailed your shoot is. The more vendors you have, the more back and forth emails you are doing with them. You should budget around twenty hours at minimum for planning and five to ten on shoot day, depending on how many models need hair and makeup and how many details or scenes you have to set up. What kind of budget do we need and who contributes to costs? This is a tough area as vendors are very different. For most vendors, there isn’t an actual expense associated with providing their service. They aren’t investing any money in the shoot, they simply aren’t making any money for their time or services. Other vendors are providing an actual product that comes at an expense. If there are expenses, the vendor may choose to absorb those costs on their own from their marketing budget, or they may ask the planner to cover all or a portion of the expense. Who runs the show on shoot day? This one will probably vary heavily depending on who you talk to. 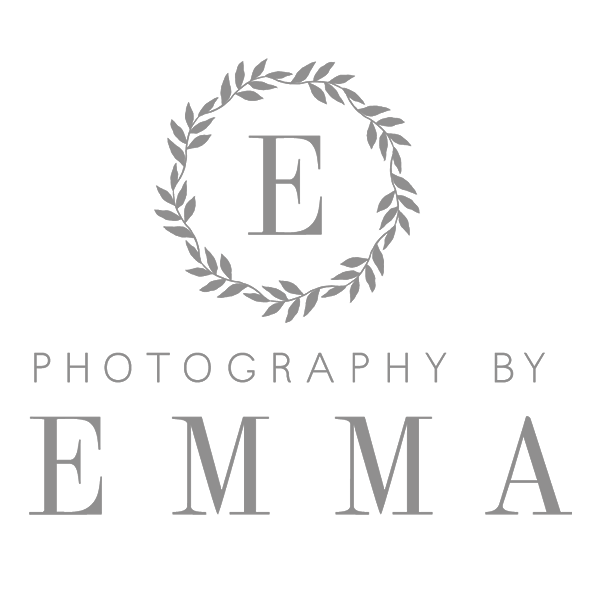 I am an expert when it comes to planning but I’m definitely not an expert when it comes to taking a great photo, designing the perfect floral arrangement or creating a stunning hairstyle. For me, part of the fun in a shoot is seeing what a vendor comes up with based on the vision and ideas I’ve communicated. If I am going to tell the hairstylist to create this exact look or the photographer to shoot that exact angle then I should be hiring them, not collaborating with them. I want to see my vendors have fun and get creative. Most importantly, I want to leave them to excel in the area that they are experts in. Everyone has a clear grasp of my overall vision and general guidelines for the shoot, from there I much prefer to let them all do what I brought them on to do rather than me stand over each of them. I’m always happy to offer my opinion or shout out a pose idea that comes to mind, and usually my shoots end up being one huge team direction on day of because everyone is on the same page and having fun working together. How can I find venues for the shoot and will I have to pay for them? Venues, whether indoors or out certainly can have associated costs. A city-owned outdoor space may have associated permits or fees for use of the space. Some venues may loan you the space for free if the photos and cross marketing will benefit them, but there could be associated fees for cleaning or staffing. Higher profile venues are less likely to reduce or eliminate their rentals fees as they are already well established so the return on investment would be minimal or non-existent for them. How do I find models to be in my shoot? There are a lot of different options when it comes to finding models. 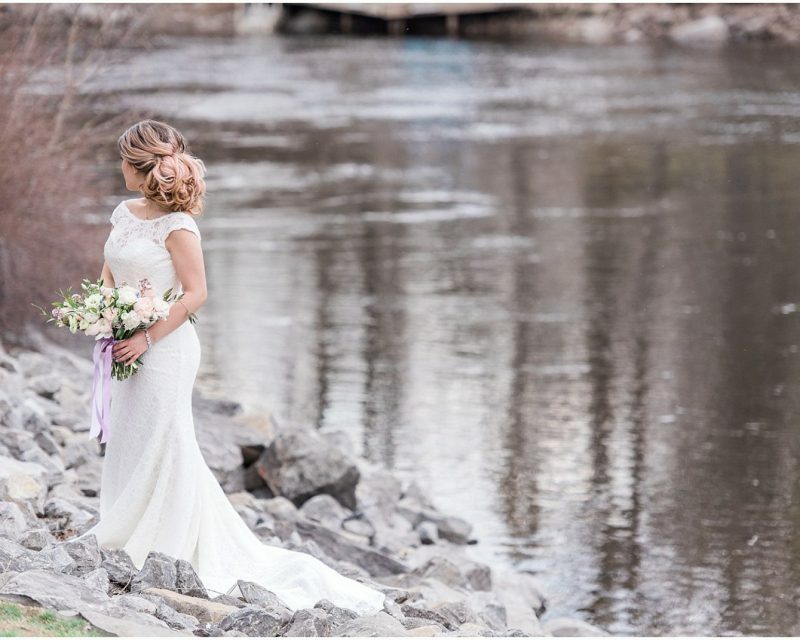 You could ask your friends or one of your past couples to see if they would be interested in exchange for having their hair and makeup professionally done that day and having access to the photos. You could look for models who are just getting started and are trying to build their portfolio, or you could also reach out directly to a modelling agency, though there may be associated fees with that option. Should I self-publish or submit the photos for publication? Again, it depends on the goal of the shoot. If you’re shoot is designed simply to generate image content for your website or social media then post right away. If your goal is to get your shoot featured on a publication, then you should keep your images offline as most publications prefer to feature the photos exclusively before they’re seen anywhere else. How do I maximize the impact of the shoot on social media? Ideally you have a communication and marketing plan for your business to capitalize on any of your images or content. There are great analytic tools for your website and social media accounts to track when the optimal times for posting are for the highest traffic or engagement. In addition to strategic posting, you need to write engaging copy that will catch the eye and make the viewer stop scrolling long enough to register what they’re seeing and who it’s from. DOWNLOAD YOUR STYLED SHOOT SAMPLE SHOT LIST HERE. 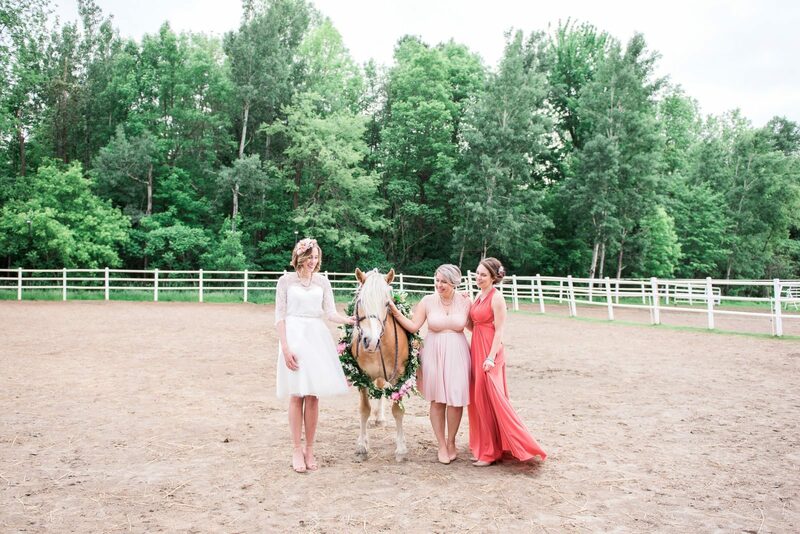 Images from the collective styled shoot planned and executed by our Ottawa Rising Tide Chapter.